The DJ and punk guitarist unplugs. The Anita Lofton Project performs on August 3 at Oakland's Awaken Cafe. Some may know San Francisco's Anita Lofton from her days as a house music DJ or as guitarist in the punk group Sistas in the Pit (which toured with Iggy Pop and the Stooges during the 2007 reunion), but she's got even more musical sides to reveal. The Anita Lofton Project is unplugged, if you will, her instrument of choice now being an Epiphone acoustic guitar in collaboration with violinists, upright bassists, drummers, and a cellist. "I'm meeting your parents at noon, when I don't even know you," she sings on "Can't Understand," the lead song from the debut album Neo-Black-Folk. It's more melancholic than cheeky, the strings pulling at the heart. After showing off various talents in her other musical projects, here Lofton's compositional skills are finally in the spotlight both with instrumentation and lyrics. 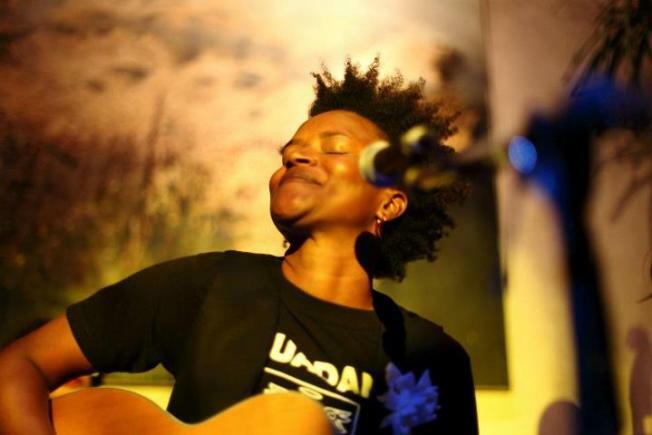 The Anita Lofton Project performs a free show on August 3 at Oakland's Awaken Cafe.